Built by Zuckerman Brothers Builders in 2001, this six bedroom, seven and a half bath home is ideally located in the prestigious Massachusetts Avenue Heights neighborhood. The house boasts: a dramatic family room with a coffered ceiling, gourmet chef’s kitchen, master bedroom suite with a private lounge and “his-and-her” baths, ten-foot ceilings, and a full-service elevator, and all within walking distance of the Woodley Metro and the vibrancy of downtown Washington, D.C. Asking: $3.35 million. Listing Contact: Marc Fleisher, Long and Foster, (202) 364-5200. Exquisitely crafted by builder, Charlie Edmunds for his personal residence, this stately Tudor on two beautiful acres offers all the features you expect in a new house while maintaining the Old World charm. Top-of-the-line finishes include: Spanish cedar shutters, beams and brackets, slate roofing and cedar carriage style garage doors. High ceilings, interesting architectural detail and nicely proportioned rooms combine to make this 13,000 square-foot home very inviting. Asking: $5.5 million. 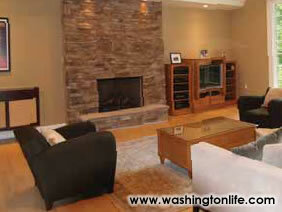 Listing Contact: Kirsten Karakul, Sotheby’s Washington Fine Properties, (202) 243-1611. Steeped in history and recognized by Country Life magazine as one of the seven outstanding country homes in the nation, Huntland enjoys the picturesque surroundings of Virginia’s finest. A scenic country road approaches this wonderfully private 550 acres farm, hidden behind a gated entry that leads to a winding drive past mature trees, boxwood hedges, spacious lawns and fenced paddocks. Beyond the arched bridge lie two architectural showpieces: the courtyard stable and kennel, built in 1913 and patterned after a composite of the finest kennels and stables in Europe. The gracious manor house was built by William Benton who was employed by President James Monroe in the building of Oak Hill near Aldie, Virginia. In 1911 Joseph B. Thomas bought the land and home. 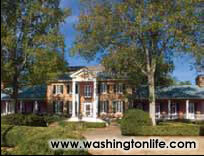 The pure Federal style design features spacious rooms, high ceilings, fine materials and rich details. Known not only as place of hounds, horses and fox hunting. Huntland has opened its doors to many senators, congressmen and Presidents Johnson and Kennedy. More photographs of this beautiful property can also be seen in our Horse Country fashion spread, pages 66-73. Asking: $18.8 million. Listing Contact: Rick Lowe and Anita Sisney, Armfield, Miller and Ripley, Fine Properties, LLC, (703) 973-1987. 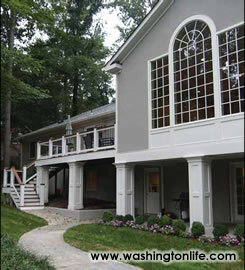 901 LYNTON PLACE, MCLEAN, VA. This stunningly renovated French colonial sits on a lushly landscaped one-acre lot with new stone retaining walls and columns flanking the driveway. Features include: an in ground pool, a patio, a 250 square-foot deck finished in Brazilian hardwood, a renovated gourmet kitchen with large walk-in pantry, a 400-square foot family room with 10 foot Palladian windows, stacked ledgestone fireplace, 13ft. ceilings, custom lighting, maple hardwood floors, Wainscott dining room with French doors and butler’s pantry, master bedroom suite with sitting room, fireplace and large master bath with large Kohler soaking tub, a 550-square foot garage with dedicated storage/workshop area complete with plumbing, and finally a large mudroom complete with two double closets, a built-in seating bench, and French limestone flooring. What more could anyone ask for? Asking: $2,295,900. Listing Contact: Casey Margenau and Associates, RE/MAX Distinctive Real Estate, Inc, (703) 442-8600.